As you can see from the accompanying chart, Chinese and Indian citizens—who happen to participate in two of the most rapidly-growing economies in the world—are the most optimistic, with 88% and 87% respectively feeling upbeat about the coming year. 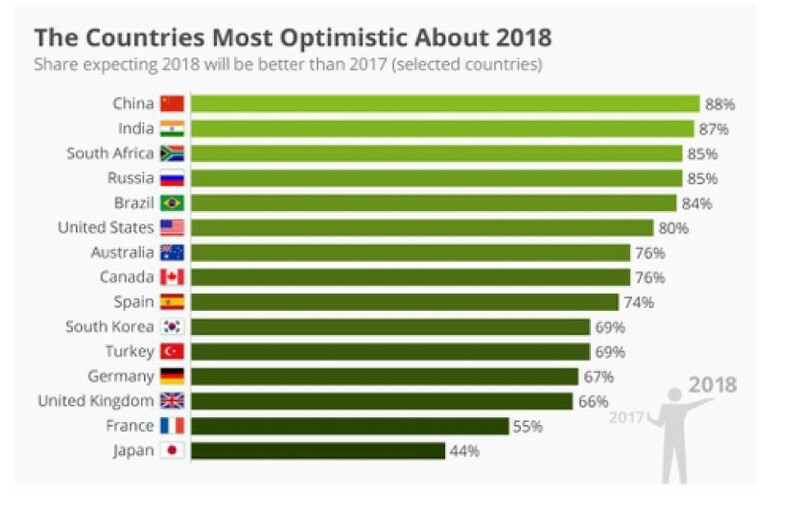 You might be surprised to see that Russians are more optimistic than Americans this year (does Putin have a health issue we don’t know about? ), or that the French and Japanese are the most pessimistic by a wide margin.